The Press of Robert LoMascolo: Rebind . . . 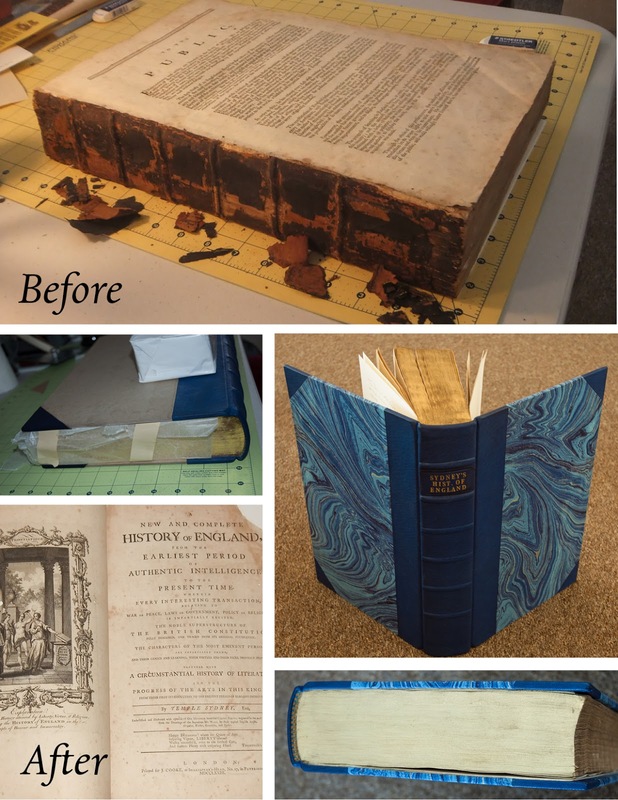 I just completed rebinding this large and impressive copy of "The History of England" printed in 1773! It is looking rather smart now in blue leather with marbled cloth covers and new hand-sewn endbands. It is always exciting to work on something that is older than our country!